o IGS fans and electric motors overhauling. 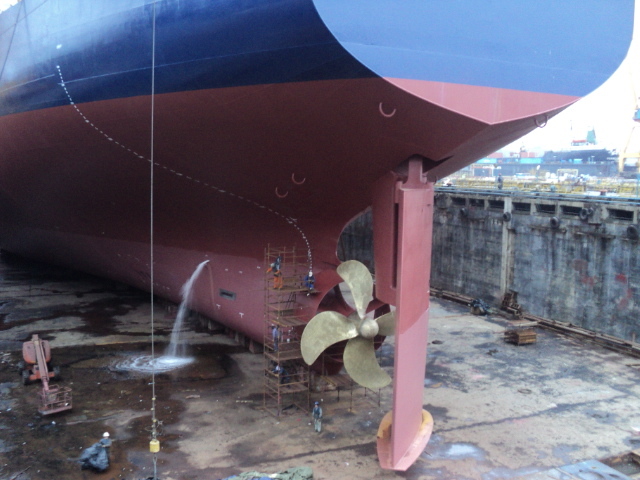 Aside from above mentioned typical works, the shipyard carried out and successfully completed the installation of a stern “Mewis Duct”, designed to optimize / reduce power and fuel consumption (~6% reduction). 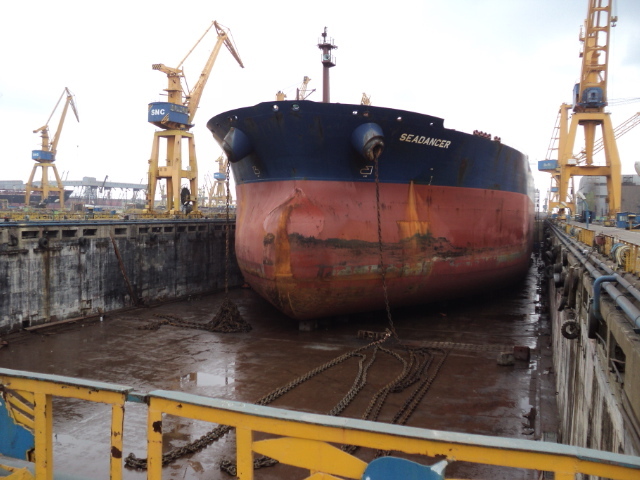 This special project involved extensive attention and efforts, being a “first timer” for both Shipyard and Owners, and actually becoming the headline of performed works for subject vessel. 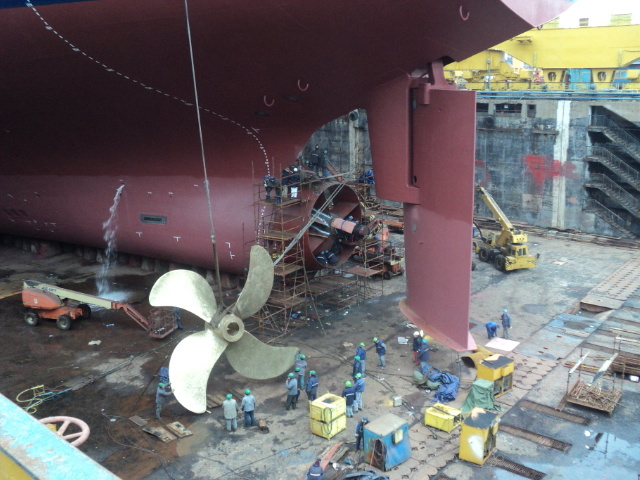 The “Mewis Duct” was transferred to shipyard’s premises in disassembled condition (duct halves, stiffeners, assembling plates and bracket) and the installation process required considerable precision during step-by-step trimming and adjustment of fastening/mounting elements until the required position and alignment were achieved.